It’s always a pleasure to get to write a review for a new Subsignal album. I am a fan of all three of their previous albums, and even loved their previous projects, as well. Recently, the band released their latest work, “The Beacons of Somewhere Sometime”, and I find it to be somewhat different from their previous albums. Indeed, I think the cover art for the new album is itself a sign of some of the differences. It’s darker and somehow lusher and more nuanced. Usually I like to discuss all the great things about an album first, then I cover some of the drawbacks. This time around, I think I need to turn that structure on its head. 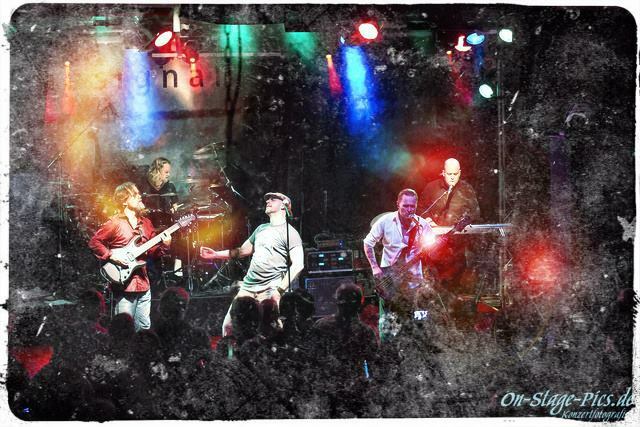 Subsignal is a band, but sometimes it still feels like a side project. 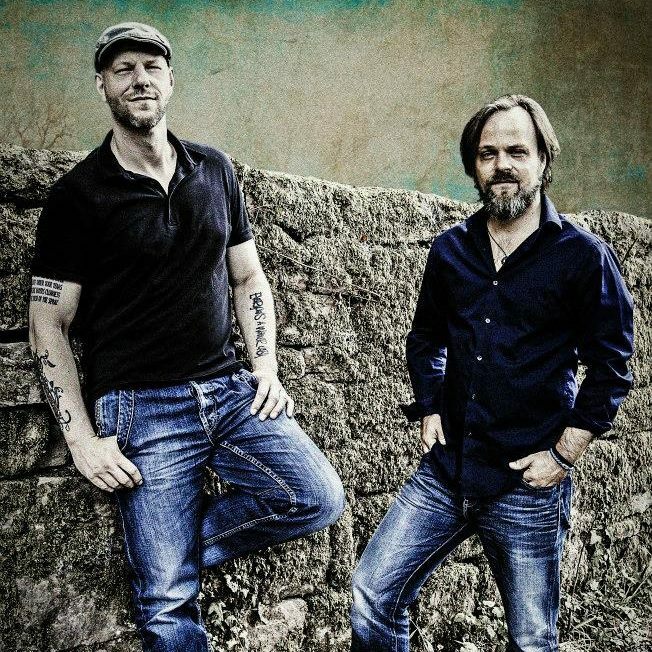 Mainstays Arno Menses on vocals and Markus Steffen on guitars are still here, and their new promo photos only show these two members. That is because the rest of the group—Luca di Gennaro of Soul Secret on keyboards, Ralf Schwager of Dreamscape on bass, and Dirk Brand of Axxis on drums—are all involved with other bands primarily. Or, at least, I think that’s the reason. Ralf has played bass for Subsignal on every album, though Luca and Dirk are both new to the project. And this brings me to the few qualms I have with “The Beacons of Somewhere Sometime”. There are two, mainly. First, I miss the thunderous drumming of either Roel Van Helden or Danilo Batdorf. Danilo even won my much coveted (not really) award for best drumming performance of 2013! Dirk is not a bad drummer by any means, but, being from a heavy metal band, I find his style to be more prone to double bass, yet without the progressive trappings. The album is also mixed differently than in the past, with the drums being in the background more. I’m not sure if this was on purpose, but it makes the album sound less like Subsignal, in my opinion. My second qualm is the over-layering of Arno’s magnificent voice on the first few tracks. I thought they had moved away from this on “Paraiso”, leading to a much more emotionally satisfying experience. That is a small complaint, obviously. But, now it’s time to discuss why I love this album so much. I’ll try to keep it to three main reasons. First of all, Arno continues to be one of the best voices I’ve ever heard. Especially on the latter half of the album, Arno shines and emotes on a level I’ve never heard from him. He gives a truly griping and masterful performance. As an added bonus, Markus’ guitars are simply awesome, featuring a really low, dark growl in the riffing that provides a stark contrast to the elegant beauty around it. Second, Arno’s vocals are made all the more poignant because of the raw and emotional subject. The band mentions that this new album is all about the kinds of events in life that can be damaging, but are also unavoidable or unforeseeable. We all experience unexpected events that change our lives and our perspectives, and this album is dedicated to that message. So, the griping performance from Arno is even more riveting because of the emotional punch that this album gives. For the events happening in my own life, I feel like I’ve been able to connect on a very personal level here. Lastly, “The Beacons of the Somewhere Sometime” is closer to the classic Sieges Even material than any other Subsignal album. That means it is slightly more progressive and less ballad-driven (though I’m a big ballad fan). It’s simply different than their previous works, and so it’s great to see the band continue to evolve. The album is structured well, too. It starts out slowly with “The Calm”, “Tempest”, and “A Time Out of Joint”. That seems to be on purpose, though, given the theme. It picks up a bit with “And the Rain Will Wash It All Away” and “Ashes of Summer”, the former being one of my favorites on the album with a distinctive rhythm. The album then reaches my two favorite tracks, the gentle “A Myth Written on the Water” and the masterful “Everything is Lost”, representing a height of despair. Finally, the band presents us with a 20+ minute “epic” of sorts in the four part title track. This final song is chock full of grand moments, quiet despair, and incredible melodies. Indeed, it’s like a summary of the rest of the album, in some ways. Thus, this album ends up being just over an hour long, and it leaves an impression like few other albums this year, especially on an emotional level. It manages to evolve their style while still being human and vulnerable. I always appreciate it when musicians share their feelings and perspective on the world, and Subsignal has done just that, in spades. 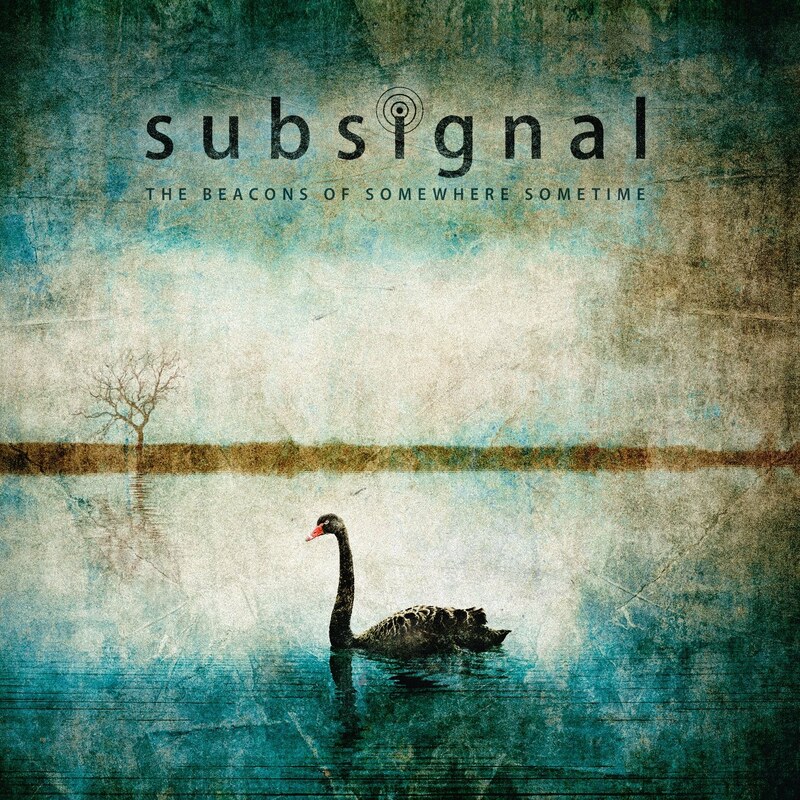 So, despite a couple things that were initially disappointing, “The Beacons of Somewhere Sometime” ends up being one of Subsignal’s best, probably placing #2 in their discography, behind only “Paraiso” for me. And I know it will only continue to grow on me as I delve deeper into the vulnerable expressions of the human soul that are such a strength here. I know that many reviewers have already made their “favorites of 2015” lists, but making those lists so early risks missing out on profound experiences such as this. So, like the cover art, this album is a beautiful, yet dark ode to the human experience. It might seem like life is always haunted by the night. But there will be a dawn. I feel the same way. Arno Menses is the best vocalist I know. The drumming in Paramount(Sieges even) is spot on. I feel like they have a unique ability to blend happy, sad and heavy music into one song. I am probably the only weirdo who thinks ‘Mounting Castles in the Blood Red Sky’ is the best song of the album!